Today was my longest walking day yet. 29.5 kilometres in around 7 hours. Most of it was on small country roads with very little traffic past ploughed fields, golden fields of hay, more corn, more cows and the thing I love most, the ever-changing sky. There really is no reason to be bored even when you walk past similar landscape for hours on end. As I approached one small town, an old man stopped his car and waited for me to catch up. He wanted to know who I was and where I was going. I tried to explain to him that I am a pilgrim to Rome. He was a bit hard of hearing so I had to repeat my poor French a few times but he understood something as he mentioned Santiago de Compostela. I tried to tell him its the same but different. 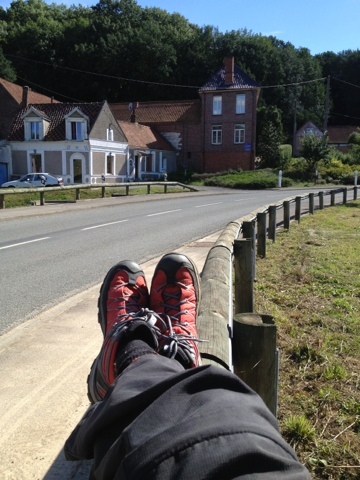 I arrived in Therouanne in good time, walking 14 kilometres in three hours. In the town centre, I decided to go to Carrefour to buy some replacement scissors for the ones I accidentally left behind in Dover and which I needed desperately to cut the dressing for my worsening blister. Just before I entered, an older distinguished looking gentleman approached me, speaking French. "Je ne parle pas Francais," I told him. He didn't speak English either. But as it turned out, he was the Mayor of Therouanne about to attend a wedding. He also understood I am a pilgrim of Via Francigena and he wished me well. Five hours into today's walk the pain in my feet, knees and hips was becoming beyond uncomfortable. I passed some cows sitting down on the ground and I honestly wished I could be one of them for the rest of the day, just laying there in the sun, doing nothing. Instead I pushed on. An hour out of Auchy-au-Bois I took a quick rest break and dug out the emergency chocolate supply. Pain was high, energy was low. I took five minutes break and got back to the job at hand, to make it to Auchy-au-Bois. 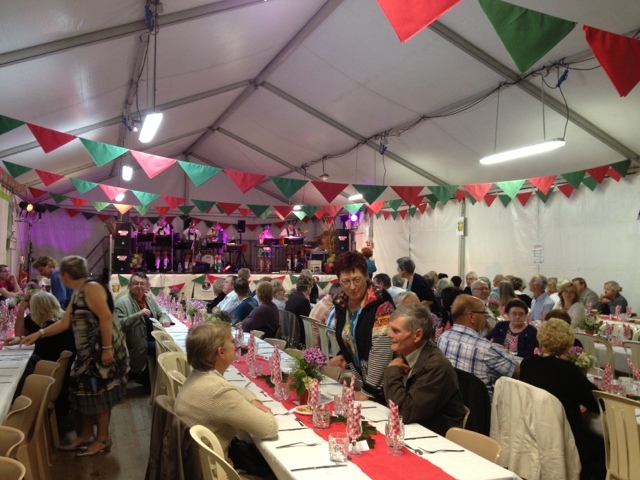 As I walked into Auchy-au-Bois at just after 5pm, I started mentally rehearsing my French to ask for a room and wondered what I would do if I was told there was no room at the inn. I was too tired to be devastated or distraught, just pretty bummed and wondered if that was how Mary and Joseph felt when they were rejected from all those inns when Mary was in labour and resigned to the fact that they just had to try the next place. At the moment, I am just having this great faith that wherever I turn up, I will find a bed and I will find food so there's really no point stressing about it. However, I did need a plan B if the two B&B's in this town did not have a room. 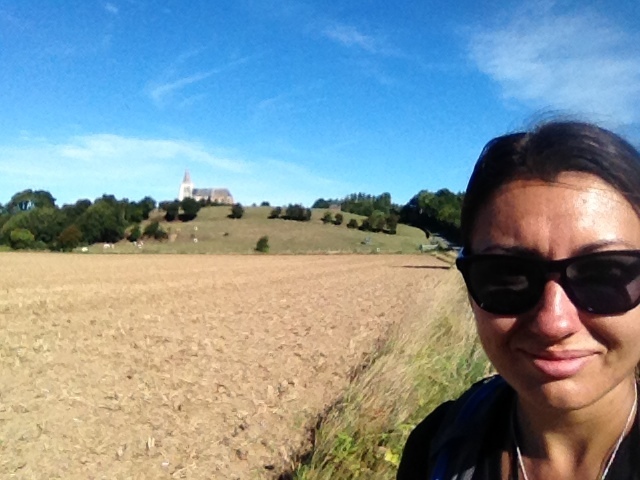 As tired and in pain as I was, grace kicked in and I knew that if I had to walk an extra 5 kilometres and an hour and a half to Amettes, the next significant town on my path to find accommodation, I just would. As it turned out, I didn't have to. I rang the doorbell at my selected B&B. Madame Brigitte opens the door. "Avez-vous une chambre?" I ask. I was so happy and grateful I could have fallen to my knees or hugged her. "Merci, merci, merci," I responded. Madame Brigitte walked me through to the back of the house where an elderly gentleman sat at the table. They started talking French to each other. 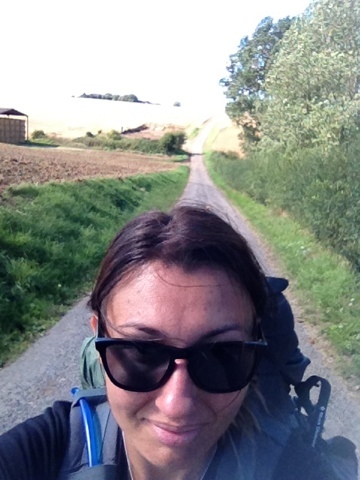 At first I thought he was her husband but then I noticed the walking pole, then the backpack then the Via Francigena map. His name was Jacques and he has been walking north from Besancon to Canterbury. He is near the end of his trip whilst I am at the start of mine and he is the first fellow Via Francigena pilgrim I have met. He also turned out to be my earth angel for the day despite the fact that we don't speak each other's language. I really love that about the French. They won't let the language barrier perturb them, they will just speak to me anyway, if I understand them or not. 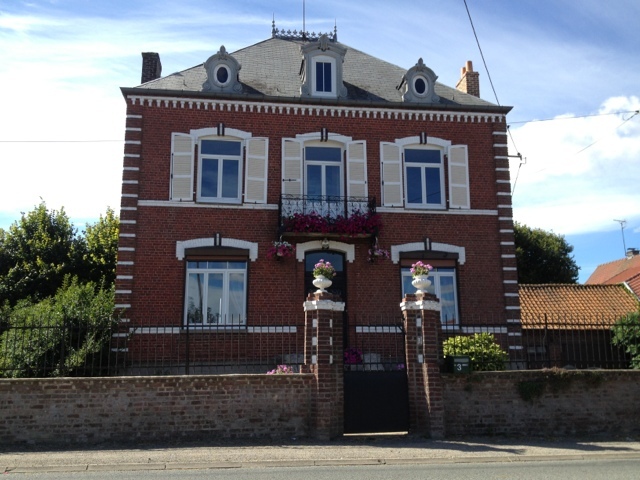 Auchy-au-Bois is a very little town, no supermarket or boulangerie from what I can see although the guidebook told me there was a cafe and as I was in need of dinner I wanted to walk into the centre to see if I could find anything. Madame Brigitte said there was a festival on tonight and there would be food so Jacques accompanied me into town. My stomach is full. My heart is even more full. (My body is groaning in pain.) I can't wait to see what tomorrow brings.